LingUU 2.1 is out now! 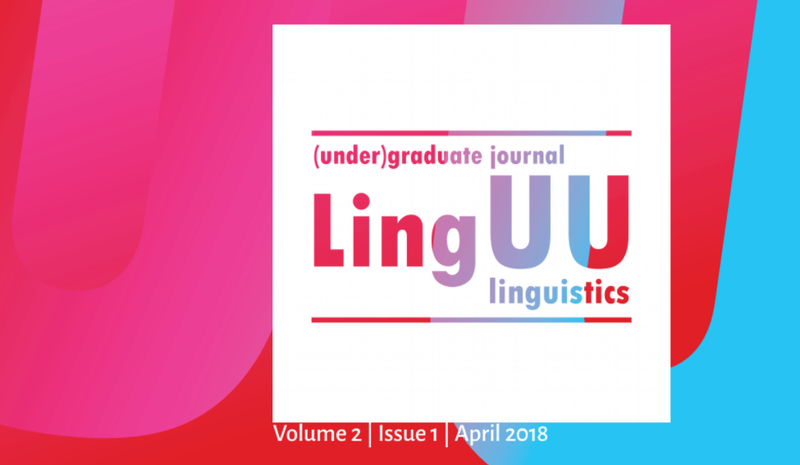 The second issue of LingUU Journal features articles on various linguistic topics, written by students from different BA and MA programmes. Download the entire issue, browse through the contents, or order a paper copy (while supplies last). Mattanja Blaauwendraad-Kalle (RMA Linguistics) takes off by proposing Feature-Based Verification to arrive at the right truth value judgements for reciprocals such as ‘date’ and ‘hug’. In an experiment with French-Dutch bilinguals, Lex Tavenier (BA French language and culture, BA Linguistics) shows data that cannot be explained by the aspect hypothesis that L2-learners are sensitive to lexical aspect when acquiring a language’s tense system. Sjoerd Bosma (BA Dutch language and culture) studies the conjunction al in Dutch dialects. He proposes to add a CondP and ConcP within the CP in order to account for the semantic differences between the conditional and concessive use of al. Sjoerd Lindenburg (MA Leraar voorbereidend hoger onderwijs: Engels), Hanne Boon and Jennifer Elbert (both MA Multilingualism and Language Acquisition) propose a study on the effectiveness of different combinations of implicit and explicit instruction in L2 education, in which Spanish adults learn the English Present Simple. Finally, Hannah Aalbers (paper during BA Dutch language and culture, now in RMA Linguistics) analyzes the non-configurationality of Dutch compared to the configural language of Bilinarra. She claims that even Dutch has flexible word order sometimes, and that pronominal clitics can replace constituents. In two from abroads, Marlijne Boumeester and Sophie Slaats (both RMA Linguistics) report on their adventures. Marlijne prepared for her thesis in Oslo by researching adult bilinguals’ linguistic and cogitive abilities. Sophie sought neurolinguistic experience in Reading (UK) where she designed an EEG experiment in a project on L3 acquisition and language transfer. Damien Fleur (RMA Linguistics) concludes the issue with a review of Robert C. Berwick and Noam Chomsky’s Why only us, which defends the claim that humans are unique in their linguistic abilities. Damien is disappointed by the “convenient ommissions of challenging evidence”, but he recommends reading the book nevertheless.